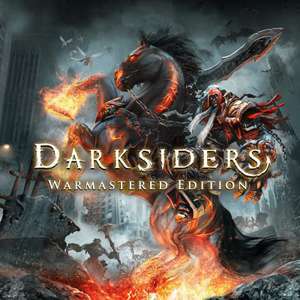 Darksiders Warmastered Edition PC (Steam) £1.23 @ Instant Gaming! Even cheaper than before! This game just keeps on getting cheaper. For PC, see minimum and recommend specification below. A Excellent remaster of a classic game, remastered in 2016. Lots of other great games on offer from 99p. Instant gaming Trustpilot score is 9.7 based on over 155,000 reviews........ My experience today was seamless and straight forward. Never used Instant Gaming before. What's the general consensus? Reliable? Already own this but they've got a few good looking prices on there, are they like Kinguin? Cheers. I bought Borderlands GOTY earlier from them, first purchase via PayPal, required a phone number for verification, I was called instantly, given a 4 digit number via a automated system, I entered the number onto the order screen... Job done. Never used Instant Gaming before. What's the general consensus? …Never used Instant Gaming before. What's the general consensus? Reliable?Already own this but they've got a few good looking prices on there, are they like Kinguin? Cheers. I think they are more of a phishing scam then an actual store, if you try and use paypal for example they will keep inventing security checks you need to go to that involve giving them more of your person details each time, they literally said paypal require they do this, so obviously I checked with paypal, they said it wasn't the case at all and they were acting fraudulently by requesting such information under the guise of paypal so I just had to cancel all transactions I did have with them for refunds, which was actually super quick with paypal. One other somewhat criminal thing I noticed they do, if you do attempt to use their "customer support" they will go back and edit their own message history to change evidence of what they have said to you and just straight up delete their own messages when you point out they said something false. Ultimately they aren't safe to shop there if they are claiming to act on the behalf of other companies and editing the truth so much - I did try reporting my experience to HUKD but I never got a response. Regarding additional security checks, the first purchase requires phone verification (like all those other reputable online shops who dont) then if you try to shop there again you are asked for more details as such verification doesn't seem to work a 2nd time, but if you are trying to make a purchase under £10 and a site is asking you to upload personal documents under the guise that paypal requires it, I don't think they are safe to shop at and the several people I talked to at paypal agreed instantly. I bailed the moment they wanted a passport photo for my purchase. I'd have bailed too. Think I'll give these guys a miss unless I really need a game. I think they are more of a phishing scam then an actual store, if you try …I think they are more of a phishing scam then an actual store, if you try and use paypal for example they will keep inventing security checks you need to go to that involve giving them more of your person details each time, they literally said paypal require they do this, so obviously I checked with paypal, they said it wasn't the case at all and they were acting fraudulently by requesting such information under the guise of paypal so I just had to cancel all transactions I did have with them for refunds, which was actually super quick with paypal.One other somewhat criminal thing I noticed they do, if you do attempt to use their "customer support" they will go back and edit their own message history to change evidence of what they have said to you and just straight up delete their own messages when you point out they said something false.Ultimately they aren't safe to shop there if they are claiming to act on the behalf of other companies and editing the truth so much - I did try reporting my experience to HUKD but I never got a response. I had no problem this morning ordering Borderlands GOTY, simple enough automated security check. I've not tried ordering anything yet, think I'll give it a miss for now as I own this game. I may try in the future with PayPal of they have a great deal but these stories all sound a bit dodge. Criminally cheap price for an excellent game, can't speak about the site but the game is one of my favourites. Criminally cheap price for an excellent game, can't speak about the site …Criminally cheap price for an excellent game, can't speak about the site but the game is one of my favourites. I have owed the game for a while, currently around 15 hours or more of gameplay, with lots still to do. welcome to stage one of their phishing scams, I hope you didnt use your real/main phone number, I also hope you dont have to buy there again or you're in for a nightmare. welcome to stage one of their phishing scams, I hope you didnt use your …welcome to stage one of their phishing scams, I hope you didnt use your real/main phone number, I also hope you dont have to buy there again or you're in for a nightmare. G2A have a lot of positive reviews but their keys have been confirmed to be stolen a lot of the time, you can make anything look good in the right light. G2A have a lot of positive reviews but their keys have been confirmed to …G2A have a lot of positive reviews but their keys have been confirmed to be stolen a lot of the time, you can make anything look good in the right light. It does seem you have had a bad experience that has left you feeling a bit wary. but you seem to be applying a very broad brush stroke to your comments, when you say a lot of the time G2a.com keys have been confirmed as been stolen, as a percentage based on say perhaps 2016 or 2017 sales , how many keys do you know of that have been confirmed as been stolen? If possible could you post factual links. It does seem you have had a bad experience that has left you feeling a bit …It does seem you have had a bad experience that has left you feeling a bit wary. but you seem to be applying a very broad brush stroke to your comments, when you say a lot of the time G2a.com keys have been confirmed as been stolen, as a percentage based on say perhaps 2016 or 2017 sales , how many keys do you know of that have been confirmed as been stolen? If possible could you post factual links. I don't have any links bookmarked, it's been shared enough times on G2A though and honestly I don't trust websites when I speak to several paypal agents who say their activity is fraudulent or their claims are false, why woudl you shop somewhere or encourage other people to if the people who handle your money regularly tell you a shop is making false claims about security on their behalf and asking for your personal details, I don't see that as a safe way to shop at all. I don't have any links bookmarked, it's been shared enough times on G2A …I don't have any links bookmarked, it's been shared enough times on G2A though and honestly I don't trust websites when I speak to several paypal agents who say their activity is fraudulent or their claims are false, why woudl you shop somewhere or encourage other people to if the people who handle your money regularly tell you a shop is making false claims about security on their behalf and asking for your personal details, I don't see that as a safe way to shop at all. Well I can see you appear to of had a bad experience in the past, which has understandably left you with a trust issue, I hope in the future, your confidence will return with using smaller online retailers. Well I can see you appear to of had a bad experience in the past, which …Well I can see you appear to of had a bad experience in the past, which has understandably left you with a trust issue, I hope in the future, your confidence will return with using smaller online retailers. it's not that I dont trust smaller online retailers, its I don't trust this one that has acted fraudulently. I used G2A as an example that is often mistrusted on this site to the point people never bother posting deals from that site here anymore because they get cold voted into oblivion based on how well the community knows not to trust them. it's not that I dont trust smaller online retailers, its I don't trust …it's not that I dont trust smaller online retailers, its I don't trust this one that has acted fraudulently. I used G2A as an example that is often mistrusted on this site to the point people never bother posting deals from that site here anymore because they get cold voted into oblivion based on how well the community knows not to trust them. Well if nothing else I have had a completely different experience to your good self by the sounds of things, having successfully purchased happily many times in the past from G2a.com. Well if nothing else I have had a completely different experience to your …Well if nothing else I have had a completely different experience to your good self by the sounds of things, having successfully purchased happily many times in the past from G2a.com. you are fortunate to not have keys reclaimed yet then, I know too many people who have though which is why I avoid purchasing there. although honestly I was suspicious of that site since before I heard the negative press (there is a ton online) - if a shop needs to charge additional security measures on the off chance that a key doesnt work, how often are customers buying keys that don't work which merits the additional charge of security that any other store would offer as a basic business model. Imagine going to a store to buy a mirror then when you get it home and take it out of the box it doesnt show anything, then calling the store and hearing "oh you wanted to use the product you bought? I'm sorry you didn't buy reflection insurance so I can't help you with the product you bought from me because you didn't pay extra". Strange, I have never experienced anything like that in the past from the many years of buying game keys. Just bought it, went absolutely fine. Automated phone call with a 4 digit code is all that was required. 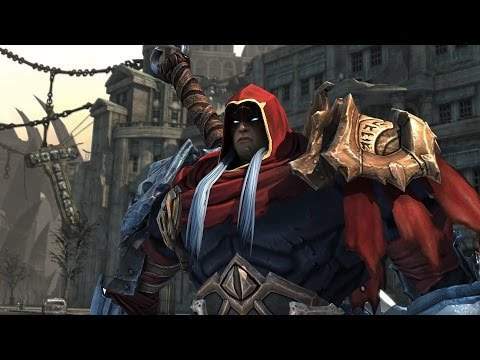 Something also to note, you get a copy of the original Darksiders as well as the Warmastered edition, which is pretty neat. This game is also rentable via Oneplay for 75p for 1 year. Anyone got any experience of the difficulty of the game? I'm not exactly blessed with gaming ability so can only play what others would consider a breeze. Anyone got any experience of the difficulty of the game? I'm not exactly …Anyone got any experience of the difficulty of the game? I'm not exactly blessed with gaming ability so can only play what others would consider a breeze.